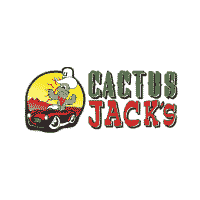 Explore the vast and beautiful Phoenix deserts in a used Chevrolet Trailblazer from Cactus Jack’s Auto. At our dealership, we offer Chevrolet Trailblazer models in exceptional condition. Read positive reviews about the Trailblazer, view our inventory online or in person, then visit us to test drive the Trailblazer when you are ready. Why Get a Used Chevrolet Trailblazer With Us?